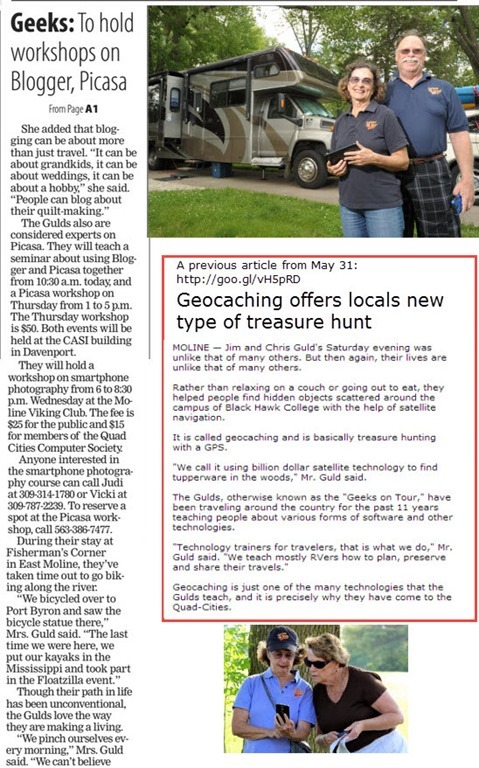 Geeks on Tour make the Newspaper! 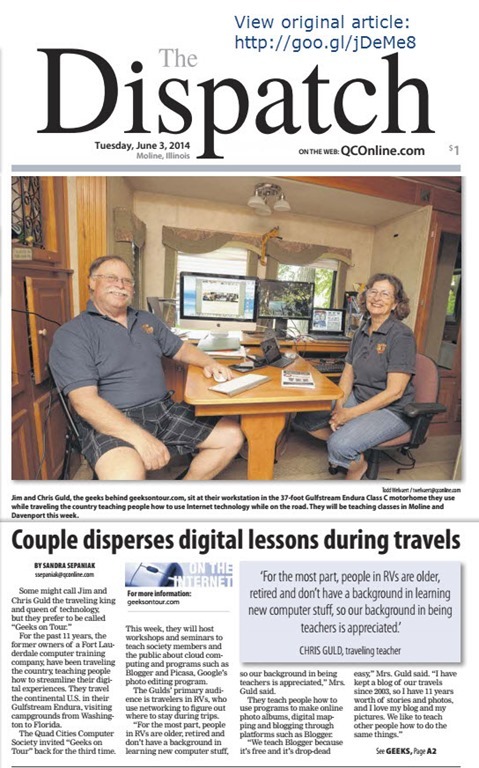 Here in the Quad Cities area of Moline, IL and Davenport, IA the local paper that many people rely on is called The Dispatch / Argus and they have an online version of the paper at qconline.com. Our contact at the Quad Cities computer club is really good at doing her press releases for club events, and look what happened! The paper even sent a photographer out and took some great photos. Here’s the online version of our article. Bobbi, one of our students for the week, is showing the front page of the paper with our photo just below the fold! Published by MrsGeek, in Blog. Tagged with Geeks on Tour.